ProtectPay®, ProPay’s encryption and tokenization service, replaces existing payment card, ACH, and other sensitive payment data with tokens so you can reduce your PCI DSS obligations. Each year, new regulations roll out requiring companies to assume greater responsibilities for protecting consumer payment data (credit card, debit card, ACH/e-check). While PCI DSS regulations help to protect the customer, they often represent a significant resource drain on businesses. ProtectPay offers organizations the ability to securely process payments without incurring the risk that is often associated with the transmission and storage of sensitive cardholder data. ProPay has been certified as PCI DSS compliant since 2004. As an early adopter of the industry’s data security standards (beginning with the Cardholder Information Security Program), we’ve developed a core competency in the protection of payment card data. ProtectPay provides the ability to store multiple payment methods (payment card or ACH) per customer. ProtectPay encrypts sensitive data from the point of entry, whether online or in person, so that the merchant organization never has to store, process, or transmit cardholder data. 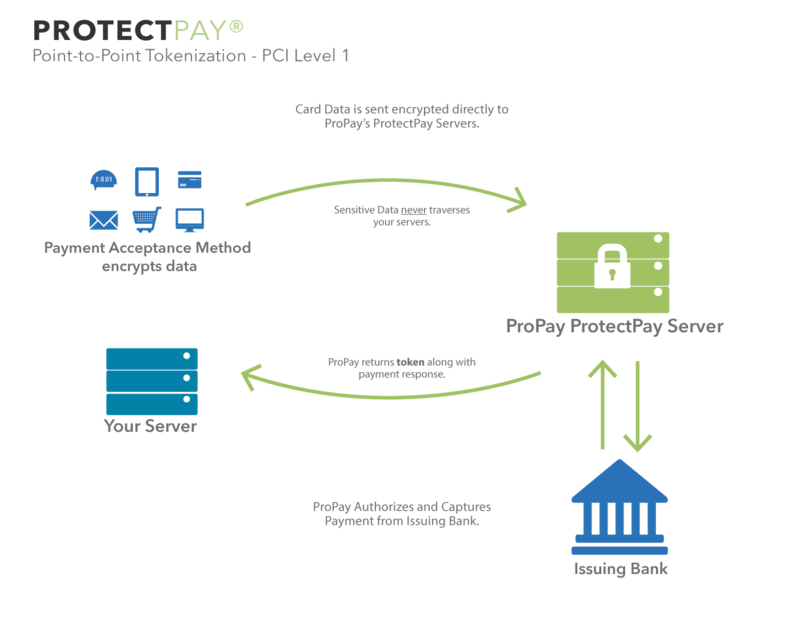 While it’s ideal to use ProPay for both processing and tokenization encryption, ProtectPay can act as a processor-agnostic secure payment platform. For more information about secure payments and tokenization, call 888.227.9856, email sales@propay.com or click Contact Us.